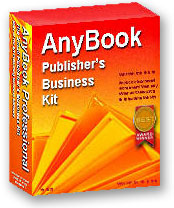 AnyBook Levels 4 - 7 allow you to expand the Main Invoice Screen to view additional data which supplements invoices. We understand that one set of data doesn't fit all purposes, so AnyBook allows you to create your own User Defined Fields. Expanded Main Invoice Screen (Levels 4 and Above). . .
You can view or make changes to the User fields in a separate window, or as shown below, you can expand the invoice screen downward to include it. Another set of data closely associated with invoices is shipment information. Shipment data can include the shipper's name, shipping method, type of packaging, insured value and other information. Shipment data can also viewed or modified in a separate window, but you may find it handy to be able to view the invoices and shipment information at the same time. AnyBook provides you with that option by allowing you to attach shipment information to the side of the invoice screen as shown below. Inventory, Billings, & Tracking Payments. Contact Manager & Customer Database.